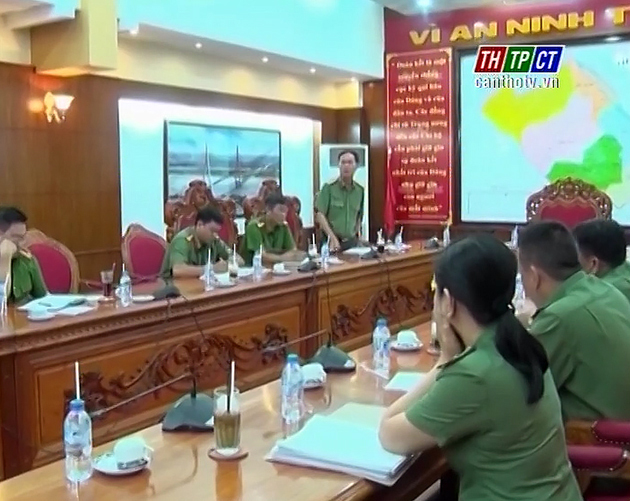 In the morning on June 28th, Cần Thơ Public Security held a meeting to carry out safety ensuring plan before, during and after national final high school exam in the city area. This year, the national final high school exam will take place within a-4 day (from July 1st – 4th ). Cần Thơ city has 2 venues, co-chaired by Cần Thơ University and Cần Thơ department of Education and Training, more than 10,000 examinees. Public security forces arranged and assigned missions to every soldier, high attempt to ensure order and security during printing, copying, transporting, delivering and receiving exam question and exam time in all venues.